When Steven (Slim) Pickings is accidentally exposed to an experimental anxiety medicine, he begins to sneeze out his biggest peeves--and these furry creatures are contagious! To stop them from taking over the entire town, Slim will have to do more than just team up with his family and friends--he'll have to face his fears, literally. 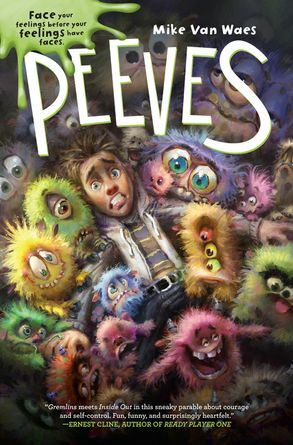 Meet some of the annoying creatures from Mike Van Waes’s new book, Peeves!